The story: Hamlet goes to war for Juliet, the daughter of King Lear. Having captured his bride—by unnecessary bloodshed—Prince Hamlet returns home to find that his mother has murdered his father and married Macbeth. Hamlet, wounded and reeling, is sought out by the ghost of his murdered further, and commanded to seek revenge. Iago, opportunistic, further inflames the enraged Prince, persuading him that Juliet is having an affair with Romeo; the Prince goes mad with jealousy. 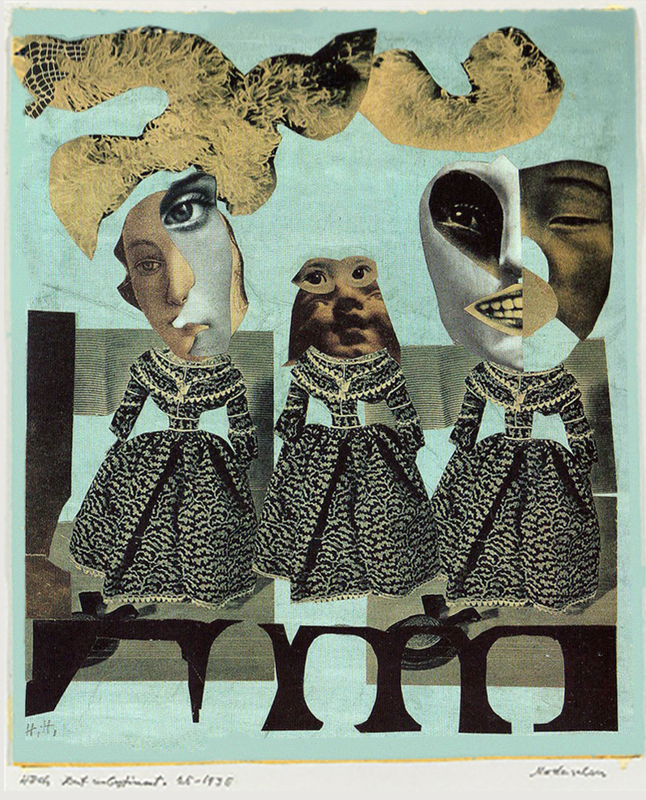 This entry was posted in Uncategorized and tagged 1890's, 1920's, 1930's, 19th Century, 2000's, 21st Century, Books, Charles Carroll Bombaugh, Collage, Germany, Hannah Höch, John Reed, Poetry, Shakespeare, USA, Women. Bookmark the permalink.